In this episode of ReWild Yourself! 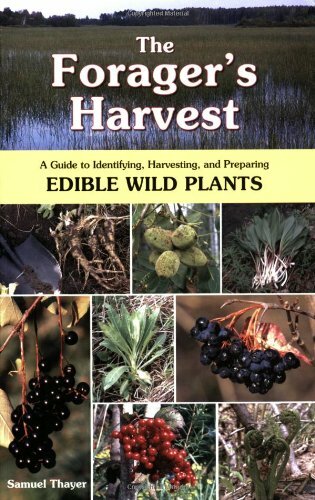 podcast, I talk with Samuel Thayer, author of The Forager's Harvest and Nature's Garden. Is foraging sustainable for the future? Foraging is not a skill; it’s just an idea. Each individual plant is its own skill. 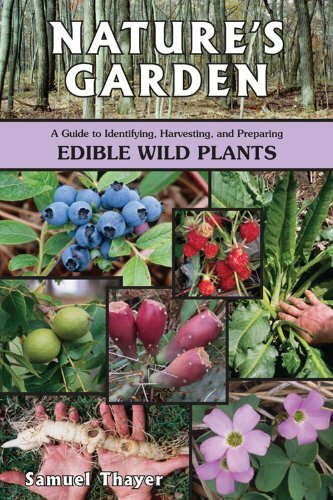 Wild foods, and interacting with the landscape, has a huge place in our sustainable future. Sam Thayer was born in Wausau, Wisconsin, where he first learned to gather wild food in vacant lots, backyards, city parks, and at the edge of town. Sam’s first presentation on edible wild plants was to his seventh grade science class, demonstrating the foods that he collected regularly on his three-mile walk to school. Since 2000, when he won the Hazel Wood National Wild Foods Cooking Contest, Sam has been teaching regularly on edible wild plants, giving workshops across the United States. In 2002 he was inducted into the National Wild Foods Hall of Fame at North Bend State Park in West Virginia. His first book, The Forager’s Harvest, has won a Midwest Book Award, IPPY Book Award, and was a finalist for the USA Book News Best Books 2007 award. It has been a steady Amazon category best-seller and has sold more than 70,000 copies. His second book, Nature's Garden, has received similar acclaim and sold over 35,000 copies. He currently lives in the woods of northwestern Wisconsin with his wife, Melissa, their daughter, Myrica, and son, Joshua. Along with speaking and writing, he is also a maple syrup producer, wild rice harvester, and owns a small organic orchard. You can find him at ForagersHarvest.com.